Thailand has a deep history with the art of tattooing and getting a tattoo whilst travelling here has become more and more popular. Travellers can get high-quality work done while paying sometimes less than half the price they would in their home Country and it also acts as a permanent keep-safe of their Thai adventures. The culture of Sak Yant holy tattoos also gained interest in popularity, bringing a spiritual aspect to travellers tattoo collections, however, these are especially sacred and should still be respected for what they are rather than just a ‘sign of a visit to Thailand’ tattoo, research should be done into Sak Yant and remember also that images of the Buddha should also be treated with the highest respect when it comes to tattooing. You can read in more detail about Sak Yant Tattoos here. 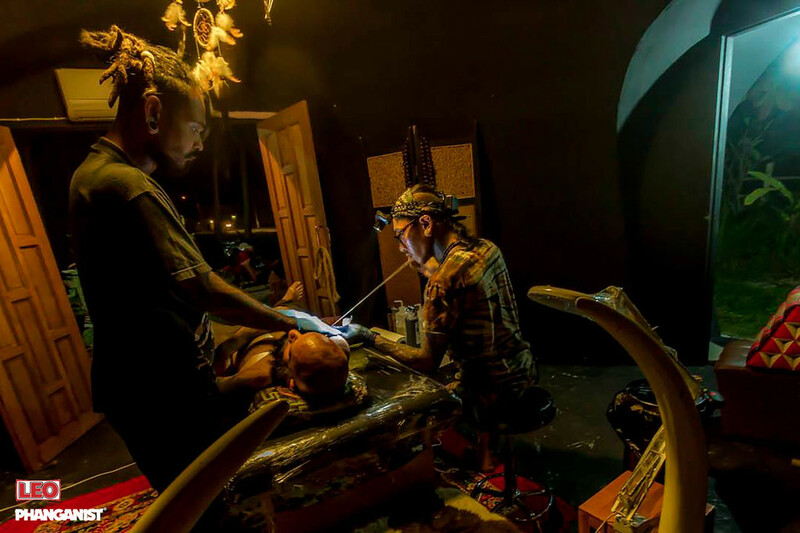 Tattooing in Thailand can be dated back thousands of years ago and you can still find the traditional bamboo tattoo styles here as well as machine tattooing and more modern designs and artists. Here specifically on Koh Phangan, we are very lucky to have some skilled quality tattoo studios and artists, ranging from traditional to modern in style with each artist having their own approach and characteristics which will suit different individuals. This is why it is so important to look around and find the right tattooist for you, one may be good for one person but not for what you want, it really helps to go around and meet the artists, see their work and style and then decide. 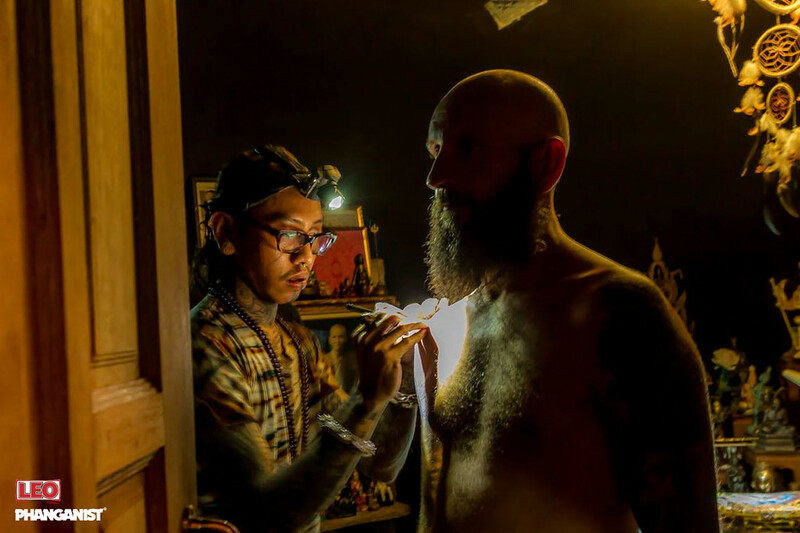 If you are already tattooed then you probably have some knowledge through experience of what to look for in an artist or studio, however, everyone will need to take into consideration certain things when getting a tattoo here on Koh Phangan as it is different to where you are from. Remember it is for life, think twice about drunken ideas and don’t do when drunk! We would recommend Run Tattoo and Triangle Ink, we can also recommend others depending on the style you wish, let us help you with our experience and knowledge, fill out the form below.